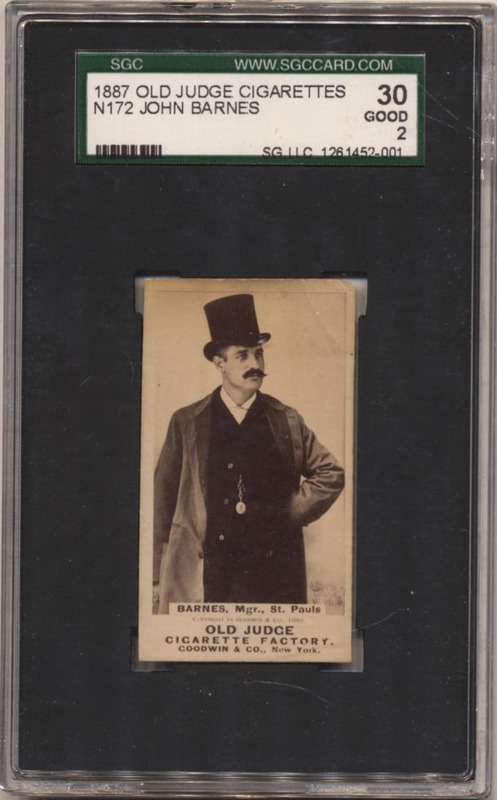 Great, great Old Judge card, this is the kind of thing that can easily make almost anyone into a devoted Old Judge collector! The stunning image is 10/10 quality, this is a striking card. Corner wear and a fine crease keep this at a 2, the back is clean.